The 10 Best BBQ Joints in Utah! Barbecue is a distinct American classic, with nothing comparing to biting into some smoky, slow-cooked, meaty goodness. Fortunately for those in Utah, you’ll find some seriously good eats with an authentic Southern barbecue taste or a unique Utah flair. 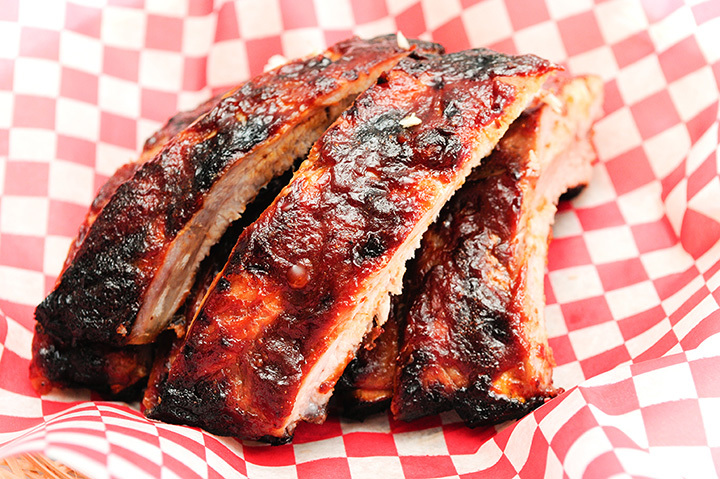 Get your taste buds in gear at one of these 10 great barbecue joints in Utah. With barbecue brisket, ribs, pulled pork, sausage link, turkey, and chopped beef all under $10, there’s no wonder Bam Bam’s BBQ is such a hit for college students and young professionals. If you time it right, you might even catch a live musical performance. R&R BBQ is more than a restaurant: It’s a community of meat lovers and barbecue connoisseurs. If you seek catering, the chance to take a “Pit Master Class,” or awesome grub with a stunning mountain view, R&R BBQ is for you. Wallaby’s BBQ is unique in that it serves up Australian style barbecue. That doesn’t mean, however, that the barbecue isn’t familiar and delicious. With a bunch of different options and almost too many tempting sides to count, Wallaby’s is a great place for families because it caters to a variety of different tastes. SugarHouse BBQ is a jack of all trades and a master of all. Try any one of their Memphis-style or Cajun-style plates and you’ll come back the next time to find their sandwiches are equally delectable. With huge portions, dangerously crispy sweet potato fries, and smoked barbecue, the Smoking Apple is one of those places whose food you crave after a long week of exhausting work. Saratoga Springs isn’t known as a center of good eats. Sean’s Smokehouse BBQ and Grill is trying to change that. With loads of options for carnivores and vegetarians, the restaurant also provides a number of interesting barbecue sauces. One of the most popular features blueberries as a main ingredient. There’s no kind of cuisine you want more when you come to a Southern Utah town than barbecue. The founders of Lonny Boy’s BBQ pride themselves on having sought to bring the very best barbecue the United States has to offer to the humble state of Utah. One of their most unexpected yet delicious offerings? The fried cauliflower. Claiming to be the best barbecue in Utah, Five Star BBQ Company has amassed an incredible following over the years. With a semi-remote location and all the classic barbecue options that you could possibly imagine, this down-home restaurant seems to teleport you to the American South. Blues music and barbecue go hand in hand at this restaurant in American Fork. Blues Street BBQ takes barbecue to unexpected places with their barbecue nachos and “Hog Heaven Fries.” If you have room left over, make sure to try a slice of their fried pecan pie with a dollop of whipped cream. D.U.B.’s BBQ is filling, addicting, and affordable. In fact, most people who visit D.U.B.’s are surprised by its quality. How could something in the unsuspecting town of St. George Utah deliver so much Southern flavor? Whether or not you think it’s comparable, at least D.U.B.’s won’t leave your appetite wanting.